A new countertop oven named Brava uses invisible and visible light to heat food directly, not to heat up the air around the food like in a typical oven. 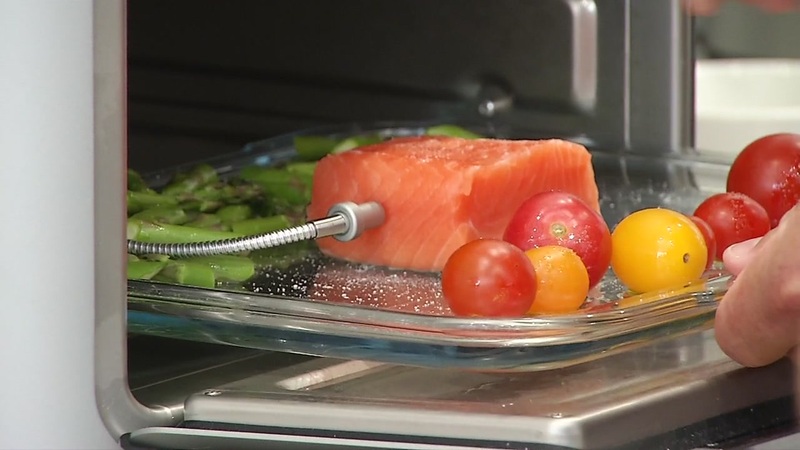 PALO ALTO, Calif. (KGO) -- Two classmates from Palo Alto's Gunn High School are hoping to revolutionize how people cook at home. They showed ABC7 News a new countertop oven, named Brava, that they believe will speed up meal preparation and create chef-level dishes. It uses invisible and visible light to heat food directly, not to heat up the air around the food like in a typical oven. It also allows cooks to combine different kinds of food (vegetables and protein, for example) at the same time, without needing to cook them separately. Thomas Cheng and Dan Yue are co-founders, along with John Pleasants. They were on hand as the Brava store at Stanford Shopping Center had a ribbon cutting Tuesday morning. 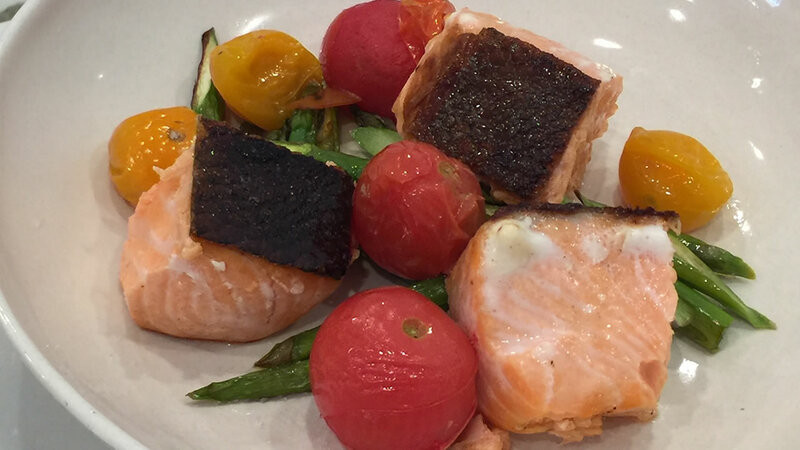 Head of cuisine Travis Rea wanted to show us how quickly and how well the oven could turn out a salmon fillet with asparagus and cherry tomatoes on the same cooking sheet. The dish was done in 12 minutes, and it had the crispy skin that many salmon lovers adore without the fillet being broiled or turned over. Rea spent four years cooking at the celebrated restaurant Gary Danko in San Francisco. He spent another 10 years doing product development for Williams Sonoma. Rea told ABC7 News he was skeptical in the beginning that this oven could replace some of the devices that already clutter kitchen countertops, such as InstaPots, crockpots, rice cookers and toaster ovens. But he discovered quickly that the Brava produces high-quality meals by everyday cooks and by more advanced cooks. The Brava has internal memory to store tens of thousands of recipes developed for the oven. Co-founder Cheng said that Brava has a service to deliver meal kits to oven owners, but cooks can use their own food and ingredients. The projected cooking time with light technology is about 50 percent faster than conventional ovens. An avid cook from Windsor in Sonoma County, who was visiting Palo Alto for the day, saw the commotion of the store opening and decided to get a demonstration of the Brava. She told ABC7 News she was very impressed. She's glad to see a new technology for the kitchen. She remembers how revolutionary the microwave oven was in the early 1970's, and she thinks the Brava could be that kind of advancement today.